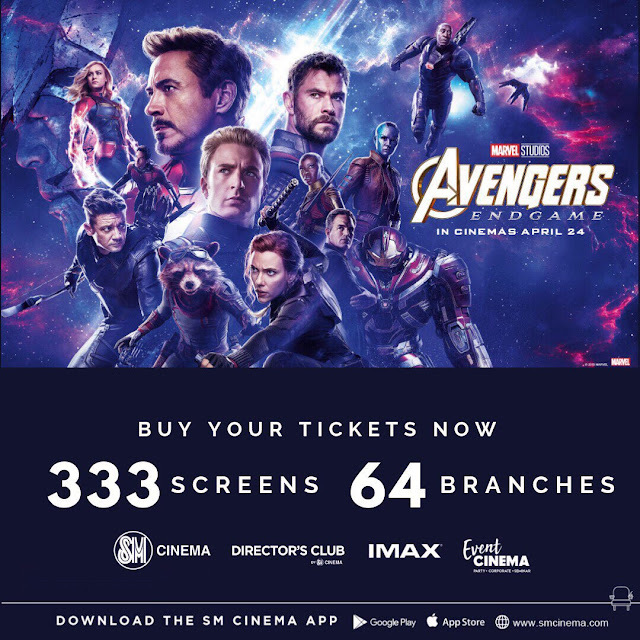 Lemon GreenTea: SM Cinema opens 333 screens across 64 branches nationwide for Avengers: Endgame! The anticipation is almost over as SM Cinema brings you Avengers: Endgame! If you want to get the best seats in the house. Skip the lines and save as much as P20 by getting your tickets via www.smcinema.com or the SM Cinema App. Is the excitement over Avengers getting you hyped? Well we have more good news for you because ticket pre-selling has already started; so, book your tickets now and be among the first in the world to see the movie! Skip the lines, get the best seats in the house, and save as much as P20 by getting your tickets via www.smcinema.com or the SM Cinema App. Make sure to also subscribe to SM Cinema on facebook.com/SMCinema, twitter.com/SM_Cinema, and Instagram.com/SM_Cinema so that you don’t miss the latest digital promos and online activities.